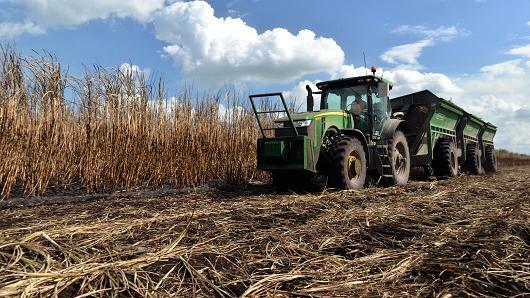 American sugar is under attack on its home turf. Despite costing taxpayers absolutely nothing for 14 of the past 15 years, some want to dismantle this program, a program—I might add—that supports 140,000 jobs in 22 states. Countries like Mexico flood and dump into our country cheap, low quality sugar, undercutting American producers. Meanwhile, Big Candy Corporations takes advantage of these low prices then argue that their foreign competitors pay less than they do, even though the data says otherwise. The reality is that sugar prices have stagnated over the last 30 years, stumbling behind the rate of inflation and forcing producers to work on razor-thin margins. But Big Candy wants you to think they’re being treated unfairly. In the 80’s—back when my hair was blonde and my right hand held a gavel—your average candy bar cost about 35- cents and contained a mere 2-cents worth of sugar. In 2018, the average candy bar costs about a buck-fifty and still contains only 2-cents worth of sugar in. Big Candy’s profits rise and they keep the little guy’s cut. That’s why we need U.S. sugar policy. In the last thirty years, half of the U.S.’s sugar operations have shut down. If Big Candy gets its way, the other half will soon follow. I appreciate fellow Texan, Chairman Conway’s tireless efforts in crafting this vital legislation and preserving America’s Ag industry for another five years. I oppose any action to put American sugar growers out of business.